The JTCS4M may be used to switch 4 antennas to one transceiver. 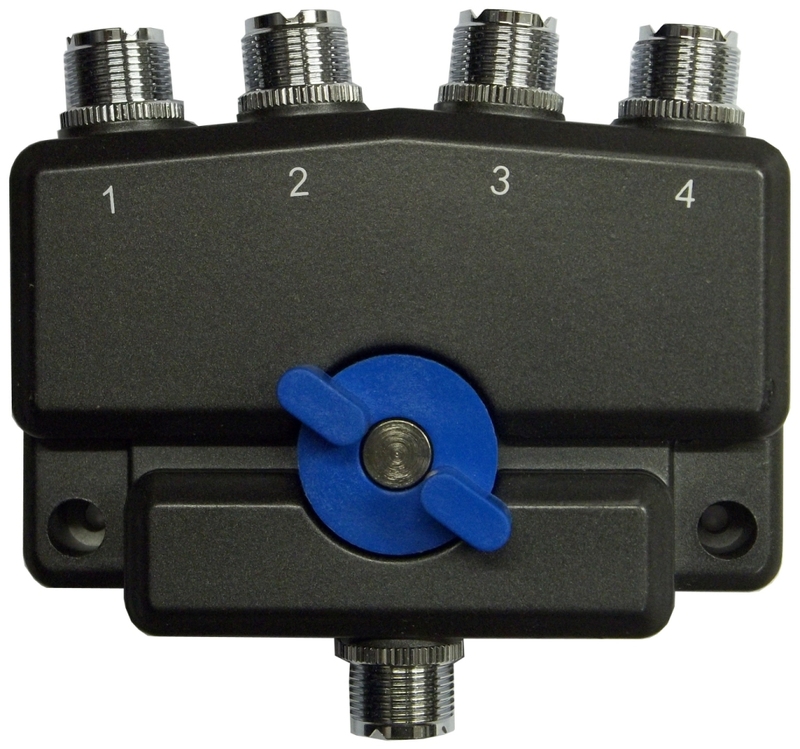 It also may be used to switch 4 radios to one antenna. The JTCS4M will ground the unused position. EX: If you are using port 1, port 2, 3 and 4 will be grounded.